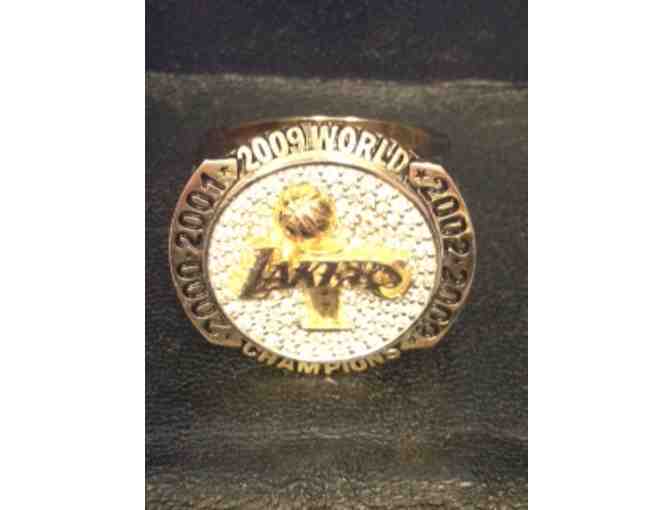 This 14k gold ring provided to Staples Center suite owners to commemorate the Los Angeles Lakers' 2009 World Championship was manufactured by Jason of Beverly Hills. The ring consists of natural round brilliant white diamonds set onto yellow and white gold and includes a black laquered display box with rotating ring holder and engraved plaque. Certificate of Authenticity (Issued on April 23, 2010) included.